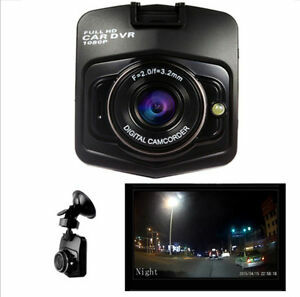 2.4" Dual Car Camera True HD 1080P G-sensor Recorder Crash Cam Dash DVR Video. goodservicezhang has no other items for sale. GARBAGE. /BATTERY DOESN'T LAST MORE THAN 45 SECONDS AFTER A FULL DAY CHARGE. SO U CAN'T REPLAY ON UR T.V# THEY REFUSE TO EXCHANGE OR RESOLVE PROBLEM! Save money buy better quality. I hate when ppl can't just fix the problem at hand. All I wanted to.do is send them back the broken so they can send me.one that works. THING WAS JUNK FRESH OUT OF THE BOX. charged for 12 full hours then unplugged it and tried to use and literally less than a minute battery dies. So how the hell can u replay what u record on a TV or other device. Anyone unwilling to not accept there unsable one for a working one I would not do business with. Item is good but having several issues. Display is not clear as it seemed in the pictures. In the nigh you hardly notice things on road. Memory card get filled up very quickly (32gb) and need format it manually. So very hard to recommend. There are other items slightly expensive than this which are very good. for the money its decent. cant make out license plates unless theyre close. not very bright at night. during the day its fairly clear with a view thats not so wide its badly distorted but wide enough to see beyond the fenders. so far the electronics are working; havent had it long enough to tell if its a good long term product. for the price, definitely worth a try to see if it suits your desires. im satisfied. I recibes a used ítem that fíes work, it did not incluye the menor y card and connection cable and It does not come in the box company. I saw in internet and I think it’s a non-original. Terrible.